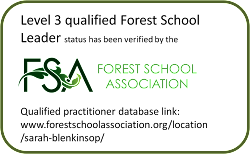 Our Forest School leaders are CRB checked, insured and fully trained in risk assessment and emergency outdoor first aid. Our site has insurance, a Health and Safety policy, seasonal and daily risk assessments, risk assessments for activities; trained, insured and CRB checked adult helpers; first aid and emergency equipment, toilet and hand washing facilities. The health and safety of all participants is central to everything we do. Some of the things the children may participate in are ‘higher-risk activities’ (such as campfire cooking or tool use). However, these are not available to the children until certain behaviours and boundaries are established. Children are encouraged and supported in recognising and managing risk for themselves, through real life situations and experiences. All participants need to be in old, comfortable clothing and bring suitable outdoor clothes and footwear as we run sessions all year round and in all weathers (unless conditions are dangerous). Sarah Blenkinsop, the Leader of Moors Wood Environment Centre, is a fully qualified Forest School Practitioner (OCN L3) is a member of the Forest School Association and Forest School Wales, has Public Liability Insurance of up to 5 million pounds, has a current First Aid at Work Certificate, also has current specialised First Aid in the Outdoors, Paediatric First Aid and Epi Pen use qualifications. Sarah has worked as an Environmental Playworker with the Herefordshire Nature Trust and as an Environmental Educator at MESC Madley, has extensive experience of working with children and adults on sustainability issues, has been an RSPB Wildlife Explorer Leader, has run successful after school Eco Clubs and taught Organic Gardening in her local schools. Sarah has enhanced Child and Adult CRB disclosures and also many years experience of playing and working in woodlands. 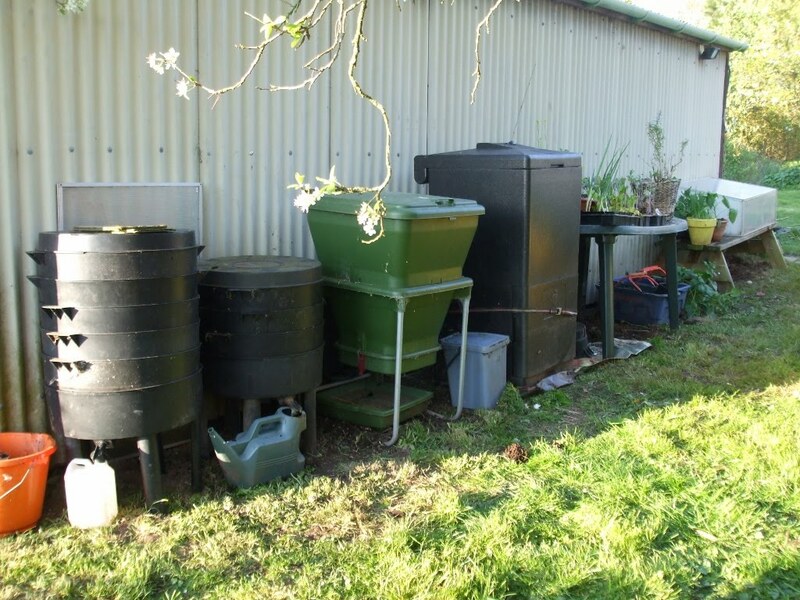 Sarah is an experienced and qualified Chicken keeper, Master Composter and Organic Gardener and has previously run her own Environmental Consultancy. Sarah has undergone Safeguarding, Diversity, Equality, Fire Marshal, Health and Safety, Risk Assessment and Food Hygiene training and has an adult teaching qualification. See About Sarah and Moors Wood for more details about Sarah, her CV and some history.